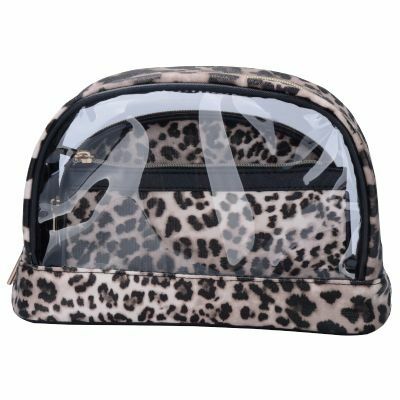 Hot sale leopard print cosmetic bags set and organizer. Easy to hold all cosmetic essentials everyday. Conviniently kept inside your daily use tote or handbag.